Inside this tutorial, you will learn how to perform pan and tilt object tracking using a Raspberry Pi, Python, and computer vision. One of my favorite features of the Raspberry Pi is the huge amount of additional hardware you can attach to the Pi. Whether it’s cameras, temperature sensors, gyroscopes/accelerometers, or even touch sensors, the community surrounding the Raspberry Pi has enabled it to accomplish nearly anything. But one of my favorite add-ons to the Raspberry Pi is the pan and tilt camera. Using two servos, this add-on enables our camera to move left-to-right and up-and-down simultaneously, allowing us to detect and track objects, even if they were to go “out of frame” (as would happen if an object approached the boundaries of a frame with a traditional camera). Today we are going to use the pan and tilt camera for object tracking and more specifically, face tracking. To learn how to perform pan and tilt tracking with the Raspberry Pi and OpenCV, just keep reading! In the first part of this tutorial, we’ll briefly describe what pan and tilt tracking is and how it can be accomplished using servos. From there we’ll also review the concept of a PID controller, a control loop feedback mechanism often used in control systems. We’ll then will implement our PID controller, face detector + object tracker, and driver script used to perform pan/tilt tracking. I’ll also cover manual PID tuning basics — an essential skill. What is pan/tilt object tracking? 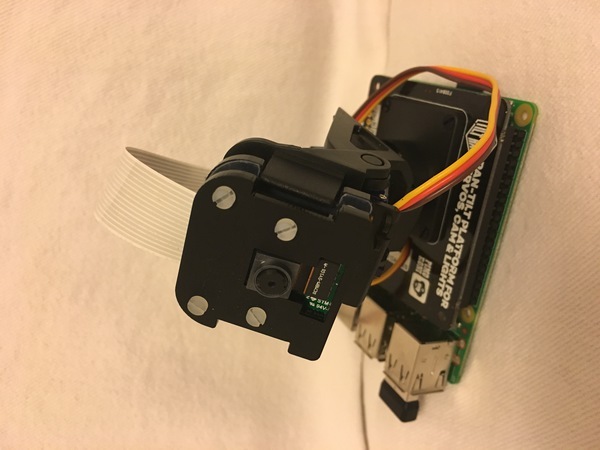 Figure 1: The Raspberry Pi pan-tilt servo HAT by Pimoroni. 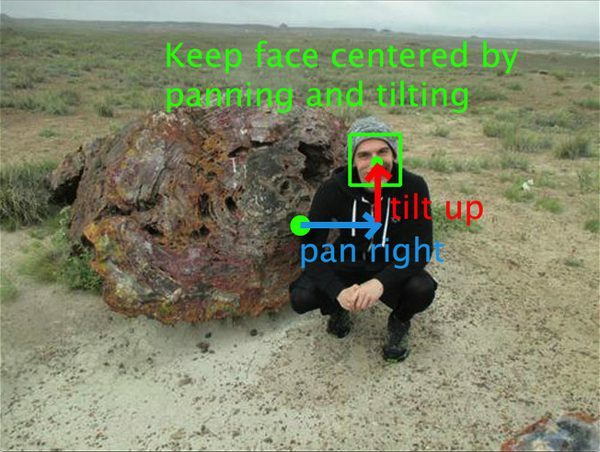 The goal of pan and tilt object tracking is for the camera to stay centered upon an object. Typically this tracking is accomplished with two servos. In our case, we have one servo for panning left and right. We have a separate servo for tilting up and down. Each of our servos and the fixture itself has a range of 180 degrees (some systems have a greater range than this). Pimoroni pan tilt HAT full kit – The Pimoroni kit is a quality product and it hasn’t let me down. Budget about 30 minutes for assembly. I do not recommend the SparkFun kit as it requires soldering and additional assembly. 2.5A, 5V power supply – If you supply less than 2.5A, your Pi might not have enough current causing it to reset. Why? Because the servos draw necessary current away. Get a power supply and dedicate it to this project hardware. HDMI Screen – Placing an HDMI screen next to your camera as you move around will allow you to visualize and debug, essential for manual tuning. Do not try X11 forwarding — it is simply too slow for video applications. VNC is possible if you don’t have an HDMI screen but I haven’t found an easy way to start VNC without having an actual screen plugged in as well. A common feedback control loop is what is called a PID or Proportional-Integral-Derivative controller. PIDs are typically used in automation such that a mechanical actuator can reach an optimum value (read by the feedback sensor) quickly and accurately. They are used in manufacturing, power plants, robotics, and more. The PID controller calculates an error term (the difference between desired set point and sensor reading) and has a goal of compensating for the error. The PID calculation outputs a value that is used as an input to a “process” (an electromechanical process, not what us computer science/software engineer types think of as a “computer process”). The sensor output is known as the “process variable” and serves as input to the equation. Throughout the feedback loop, timing is captured and it is input to the equation as well. Figure 2: A Proportional Integral Derivative (PID) control loop will be used for each of our panning and tilting processes (image source). Notice how the output loops back into the input. Also notice how the Proportional, Integral, and Derivative values are each calculated and summed. P (proportional): If the current error is large, the output will be proportionally large to cause a significant correction. I (integral): Historical values of the error are integrated over time. Less significant corrections are made to reduce the error. If the error is eliminated, this term won’t grow. D (derivative): This term anticipates the future. In effect, it is a dampening method. If either P or I will cause a value to overshoot (i.e. a servo was turned past an object or a steering wheel was turned too far), D will dampen the effect before it gets to the output. Do I need to learn more about PIDs and where is the best place? PIDs are a fundamental control theory concept. There are tons of resources. Some are heavy on mathematics, some conceptual. Some are easy to understand, some not. That said, as a software programmer, you just need to know how to implement one and tune one. Even if you think the mathematical equation looks complex, when you see the code, you will be able to follow and understand. PIDs are easier to tune if you understand how they work, but as long as you follow the manual tuning guidelines demonstrated later in this post, you don’t have to be intimate with the equations above at all times. For more information, the Wikipedia PID controller page is really great and also links to other great guides. objcenter.py : Calculates the center of a face bounding box using the Haar Cascade face detector. If you wish, you may detect a different type of object and place the logic in this file. pid.py : Discussed above, this is our control loop. I like to keep the PID in a class so that I can create new PID objects as needed. Today we have two: (1) panning and (2) tilting. pan_tilt_tracking.py : This is our pan/tilt object tracking driver script. It uses multiprocessing with four independent processes (two of which are for panning and tilting, one is for finding an object, and one is for driving the servos with fresh angle values). The haarcascade_frontalface_default.xml is our pre-trained Haar Cascade face detector. Haar works great with the Raspberry Pi as it requires fewer computaitonal resources than HOG or Deep Learning. The following PID script is based on Erle Robotics GitBook‘s example as well as the Wikipedia pseudocode. I added my own style and formatting that readers (like you) of my blog have come to expect. This script implements the PID formula. It is heavy in basic math. We don’t need to import advanced math libraries, but we do need to import time on Line 2 (our only import). We define a class called PID on Line 4.
initialize : Initializes values. This logic could be in the constructor, but then you wouldn’t have the convenient option of reinitializing at any time. update : This is where the calculation is made. Our constructor is defined on Lines 5-9 accepting three parameters, kP , kI , and kD . These values are constants and are specified in our driver script. Three corresponding instance variables are defined in the method body. The initialize method sets our current timestamp and previous timestamp on Lines 13 and 14 (so we can calculate the time delta in our update method). Our self-explanatory previous error term is defined on Line 17. The P, I, and D variables are established on Lines 20-22. Our update method accepts two parameters: the error value and sleep in seconds. Sleep for a predetermined amount of time on Line 26, thereby preventing updates so fast that our servos (or another actuator) can’t respond fast enough. The sleep value should be chosen wisely based on knowledge of mechanical, computational, and even communication protocol limitations. Without prior knowledge, you should experiment for what seems to work best. Calculate deltaTime (Line 30). Updates won’t always come in at the exact same time (we have no control over it). Thus, we calculate the time difference between the previous update and now (this current update). This will affect our cI and cD terms. Compute deltaError (Line 33) The difference between the provided error and prevError . cP : Our proportional term is equal to the error term. cI : Our integral term is simply the error multiplied by deltaTime . cD : Our derivative term is deltaError over deltaTime . Division by zero is accounted for. Set the prevTime and prevError (Lines 45 and 46). We’ll need these values during our next update . Return the summation of calculated terms multiplied by constant terms (Lines 49-52). Keep in mind that updates will be happening in a fast-paced loop. Depending on your needs, you should adjust the sleep parameter (as previously mentioned). Figure 3: Panning and tilting with a Raspberry Pi camera to keep the camera centered on a face. The goal of our pan and tilt tracker will be to keep the camera centered on the object itself. Compute the center (x, y)-coordinates of the object. This script requires imutils and cv2 to be imported. Our ObjCenter class is defined on Line 5. On Line 6, the constructor accepts a single argument — the path to the Haar Cascade face detector. We’re using the Haar method to find faces. Keep in mind that the Raspberry Pi (even a 3B+) is a resource-constrained device. If you elect to use a slower (but more accurate) HOG or a CNN, keep in mind that you’ll want to slow down the PID calculations so they aren’t firing faster than you’re actually detecting new face coordinates. Note: You may also elect to use a Movidius NCS or Google Coral TPU USB Accelerator for face detection. We’ll be covering that concept in a future tutorial/in the Raspberry Pi for Computer Vision book. The detector is initialized on Line 8. We previously reviewed the PID update method. This method performs the PID calculations to help calculate a servo angle to keep the face in the center of the camera’s view. Now we are reviewing the ObjCcenter update method. This method simply finds a face and returns its center coordinates. frame : An image ideally containing one face. frameCenter : The center coordinates of the frame. The frame is converted to grayscale on Line 12. From there we perform face detection using the Haar Cascade detectMultiScale method. On Lines 20-26 we check that faces have been detected and from there calculate the center (x, y)-coordinates of the face itself. Lines 20-24 makes an important assumption: we assume that only one face is in the frame at all times and that face can be accessed by the 0-th index of rects . Note: Without this assumption holding true additional logic would be required to determine which face to track. 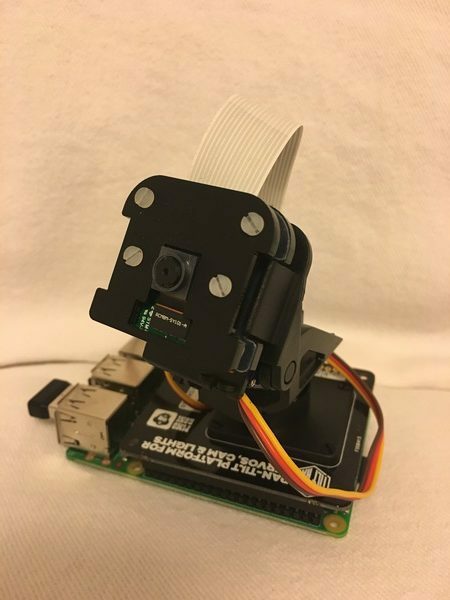 See the “Improvements for pan/tilt face tracking with the Raspberry Pi” section of this post. where I describe how to handle multiple face detections with Haar. The center of the face, as well as the bounding box coordinates, are returned on Line 29. We’ll use the bounding box coordinates to draw a box around the face for display purposes. Otherwise, when no faces are found, we simply return the center of the frame (so that the servos stop and do not make any corrections until a face is found again). Let’s put the pieces together and implement our pan and tilt driver script! Process and Manager will help us with multiprocessing and shared variables. VideoStream will allow us to grab frames from our camera. ObjCenter will help us locate the object in the frame while PID will help us keep the object in the center of the frame by calculating our servo angles. pantilthat is the library used to interface with the Raspberry Pi Pimoroni pan tilt HAT. Our servos on the pan tilt HAT have a range of 180 degrees (-90 to 90) as is defined on Line 15. These values should reflect the limitations of your servos. This multiprocessing script can be tricky to exit from. There are a number of ways to accomplish it, but I decided to go with a signal_handler approach. The signal_handler is a thread that runs in the background and it will be called using the the signal module of Python. It accepts two arguments, sig and the frame . The sig is the signal itself (generally “ctrl + c”). The frame is not a video frame and is actually the execution frame. We’ll need to start the signal_handler thread inside of each process. Line 20 prints a status message. Lines 23 and 24 disable our servos. And Line 27 exits from our program. You are absolutely right, but this is a compact and understandable way to go about killing off our processes, short of pressing “ctrl + c” as many times as you can in a sub-second period to try to get all processes to die off. Imagine if you had 10 processes and were trying to kill them with the “ctrl + c” approach. args : Our command line arguments dictionary (created in our main thread). objX and objY : The (x, y)-coordinates of the object. We’ll continuously calculate this. centerX and centerY : The center of the frame. On Line 31 we start our signal_handler . Then, on Lines 34 and 35, we start our VideoStream for our PiCamera , allowing it to warm up for two seconds. Our ObjCenter is instantiated as obj on Line 38. Our cascade path is passed to the constructor. From here, our process enters an infinite loop on Line 41. The only way to escape out of the loop is if the user types “ctrl + c” as you’ll notice no break command. Our frame is grabbed and flipped on Lines 44 and 45. We must flip the frame because the PiCamera is physically upside down in the pan tilt HAT fixture by design. Lines 49-51 set our frame width and height as well as calculate the center point of the frame. You’ll notice that we are using .value to access our center point variables — this is required with the Manager method of sharing data between processes. To calculate where our object is, we’ll simply call the update method on obj while passing the video frame . The reason we also pass the center coordinates is because we’ll just have the ObjCenter class return the frame center if it doesn’t see a Haar face. Effectively, this makes the PID error 0 and thus, the servos stop moving and remain in their current positions until a face is found. Note: I choose to return the frame center if the face could not be detected. Alternatively, you may wish to return the coordinates of the last location a face was detected. That is an implementation choice that I will leave up to you. The result of the update is parsed on Line 55 where our object coordinates and the bounding box are assigned. The last steps are to draw a rectangle around our face (Lines 58-61) and to display the video frame (Lines 64 and 65). Our pid_process is quite simple as the heavy lifting is taken care of by the PID class. Two of these processes will be running at any given time (panning and tilting). If you have a complex robot, you might have many more PID processes running. output : The servo angle that is calculated by our PID controller. This will be a pan or tilt angle. p , i , and d : Our PID constants. objCoord : This value is passed to the process so that the process has access to keep track of where the object is. For panning, it is an x-coordinate. Similarly, for tilting, it is a y-coordinate. centerCoord : Used to calculate our error , this value is just the center of the frame (either x or y depending on whether we are panning or tilting). Be sure to trace each of the parameters back to where the process is started in the main thread of this program. On Line 69, we start our special signal_handler . Then we instantiate our PID on Line 72, passing the each of the P, I, and D values. Subsequently, the PID object is initialized (Line 73). Calculate the error on Line 78. For example, this could be the frame’s y-center minus the object’s y-location for tilting. Call update (Line 81), passing the new error (and a sleep time if necessary). The returned value is the output.value . Continuing our example, this would be the tilt angle in degrees. We have another thread that “watches” each output.value to drive the servos. Lines 83-85 define an in_range method to determine if a value is within a particular range. From there, we’ll drive our servos to specific pan and tilt angles in the set_servos method. Our set_servos method will be running in another process. It accepts pan and tlt values and will watch the values for updates. The values themselves are constantly being adjusted via our pid_process . We establish our signal_handler on Line 89. Our panAngle and tltAngle values are made negative to accommodate the orientation of the servos and camera (Lines 94 and 95). Then we check each value ensuring it is in the range as well as drive the servos to the new angle (Lines 98-103). The main body of execution begins on Line 106. We parse our command line arguments on Lines 108-111. We only have one — the path to the Haar Cascade on disk. Inside the Manager block, our process safe variables are established. We have quite a few of them. First, we enable the servos on Lines 116 and 117. Without these lines, the hardware won’t work. The frame center coordinates are integers (denoted by "i" ) and initialized to 0 (Lines 120 and 121). The object center coordinates, also integers and initialized to 0 (Lines 124 and 125). Our pan and tlt angles (Lines 128 and 129) are integers that I’ve set to start in the center pointing towards a face (angles of 0 degrees). Our panning and tilting PID constants (process safe) are set on Lines 132-139. These are floats. Be sure to review the PID tuning section next to learn how we found suitable values. To get the most value out of this project, I would recommend setting each to zero and following the tuning method/process (not to be confused with a computer science method/process). A process which finds the object in the frame. In our case, it is a face. A process which calculates panning (left and right) angles with a PID. A process which calculates tilting (up and down) angles with a PID. A process which drives the servos. Each of the processes is started and then joined (Lines 156-165). Servos are disabled when all processes exit (Lines 168 and 169). This also occurs in the signal_handler just in case. Now that we understand the code, we need to perform manual tuning of our two independent PIDs (one for panning and one for tilting). Tuning a PID ensures that our servos will track the object (in our case, a face) smoothly. Be sure to refer to the manual tuning section in the PID Wikipedia article. Set kI and kD to zero. Increase kP from zero until the output oscillates (i.e. the servo goes back and forth or up and down). Then set the value to half. Increase kI until offsets are corrected quickly, knowing that too high of a value will cause instability. Increase kD until the output settles on the desired output reference quickly after a load disturbance (i.e. if you move your face somewhere really fast). Too much kD will cause excessive response and make your output overshoot where it needs to be. I cannot stress this enough: Make small changes while tuning. Let’s prepare to tune the values manually. Even if you coded along through the previous sections, make sure you use the “Downloads” section of this tutorial to download the source code to this guide. Transfer the zip to your Raspberry Pi using SCP or another method. Once on your Pi, unzip the files. We will be tuning our PIDs independently, first by tuning the tilting process. You will need to follow the manual tuning guide above to tune the tilting process. Start the program and move your face up and down, causing the camera to tilt. I recommend doing squats at your knees and looking directly at the camera. Stop the program + adjust values per the tuning guide. Repeat until you’re satisfied with the result (and thus, the values). It should be tilting well with small displacements, and large changes in where your face is. Be sure to test both. At this point, let’s switch to the other PID. The values will be similar, but it is necessary to tune them as well. Go ahead and comment out the tilting process (which is fully tuned). Now follow the steps above again to tune the panning process. With our freshly tuned PID constants, let’s put our pan and tilt camera to the test. Assuming you followed the section above, ensure that both processes (panning and tilting) are uncommented and ready to go. Once the script is up and running you can walk in front of your camera. Figure 4: Raspberry Pi pan tilt face tracking in action. As you can see, the pan/tilt camera tracks my face well. There are times when the camera will encounter a false positive face causing the control loop to go haywire. Don’t be fooled! Your PID is working just fine, but your computer vision environment is impacting the system with false information. Haar isn’t as accurate as HOG. HOG is great but is resource hungry compared to Haar. Haar is far from accurate compared to a Deep Learning face detection method. The DL method is too slow to run on the Pi and real-time. If you tried to use it panning and tilting would be pretty jerky. My recommendation is that you set up your pan/tilt camera in a new environment and see if that improves the results. For example, we were testing the face tracking, we found that it didn’t work well in a kitchen due to reflections off the floor, refrigerator, etc. However, when we aimed the camera out the window and I stood outside, the tracking improved drastically because ObjCenter was providing legitimate values for the face and thus our PID could do its job. What if there are two faces in the frame? Or what if I’m the only face in the frame, but consistently there is a false positive? Use the confidence value and take the face with the highest confidence. This is not possible using the default Haar detector code as it doesn’t report confidence values. Instead, let’s explore other options. Grab the largest bounding box — easy and simple. Select the face closest to the center of the frame. Since the camera tries to keep the face closest to the center, we could compute the Euclidean distance between all centroid bounding boxes and the center (x, y)-coordinates of the frame. The bounding box closest to the centroid would be selected. Interested in building more projects with the Raspberry Pi, OpenCV, and computer vision? 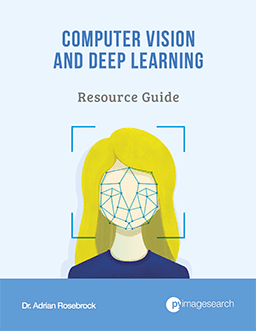 From there I’ll ensure you’re kept in the know on the RPi + Computer Vision book, including updates, behind the scenes looks, and release date information. In this tutorial, you learned how to perform pan and tilt tracking using a Raspberry Pi, OpenCV, and Python. To accomplish this task, we first required a pan and tilt camera. From there we implemented our PID used in our feedback control loop. Once we had our PID controller we were able to implement the face detector itself. 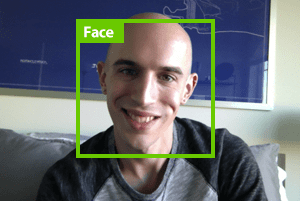 The face detector had one goal — to detect the face in the input image and then return the center (x, y)-coordinates of the face bounding box, enabling us to pass these coordinates into our pan and tilt system. From there the servos would center the camera on the object itself. To download the source code to this post, and be notified when future tutorials are published here on PyImageSearch, just enter your email address in the form below! Dr. Adrian, you are awesome! I thought this tutorial would be on your book. I imagine what we’re gonna find, oh my God! Thanks for this awesomeness! Perfect! You are one of the best people i have seen in this universe if not the best. I have been using ur tutorials for 3 years and you have done so much for me. Luckily i have Pimoroni pan tilt and everything, but I am connecting both webcam and pi cam on the same raspberry pi, and i want to run the code, it uses the web cam automatically, any ideas to change the code to work with Pi cam? Are you using my “VideoStream” class? Or OpenCV’s “cv2.VideoCapture” function? Oh I am SO going to use this as a “Cat Tracker”! 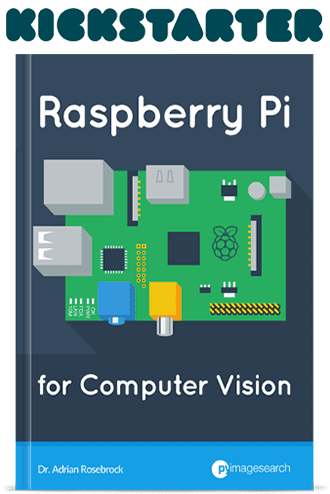 Hey Adrian, I was wondering when will you be releasing your book on Computer Vision with the Raspberry Pi. I am eagerly waiting for it. Keep an eye on your inbox — I’ll be sharing more details on the release later this week. Your work is truly awesome! I am 50+ and my daughter is 15, we both follow your work with keen interest. Adrian… awesome article as usual. I really love that you took this to the control system domain as well. I am not an expert here, but I think a Kalman filter might be usefully dealing with some of the noise coming from the detection errors. The post was already long and complicated enough so I didn’t want to introduce yet another algorithm on top of it all. This exact project is the reason I’ve put any time into learning OpenCV. Many years ago I stumbled across a student project named Pinokio by Adam Ben-Dror, Joss Doggett, and Shanshan Zhou. And wanted one ever since. 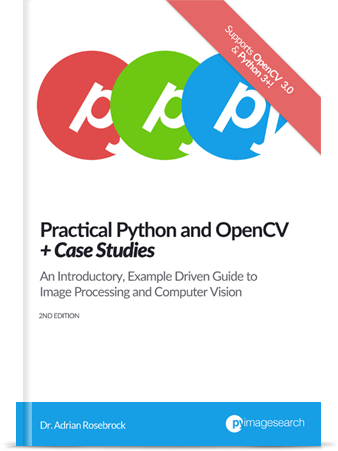 I’ve enjoyed your books and tutorials, and am very glad I purchased your pre-loaded OpenCV. But I can read what’s supposed to happen far, far better than I can code it myself. Frankly coding isn’t my gift, and I do what is needed for the project at hand. I’m literally staring at the, uh, pile of Pi, breadboard, camera and to be hooked up servos that has been on my desk since last fall as I’ve struggled with the coding. And the Pi freezing up . . . but thank you! My dream is just a little bit closer to being fulfilled. One question. Is there a US source for the recommended pan-tilt? Unfortunately, I do not know of a US source for the PanTilt. Pimoroni has had pretty fast shipping to the US though. Adafruit sells the pan tilt module. They are located in New York. Thank you for sharing, Joel! I wanted to ask where is he source code for this tutorial? I am not sure how to find it and follow this tutorial better. You can use the “Downloads” section of this tutorial to download the source code. this was a great tutorial. I always enjoyed your tutorials. Can you tell me what are the changes that i need to make if i’m using the normal pan and tilt servo mechanism using GPIO pins because i can’t afford to buy a Hat for the raspberry pi for this purpose. If you are using the GPIO pins you would need to refer to the documentation for your servo. The documentation will tell you which GPIO pins to use. 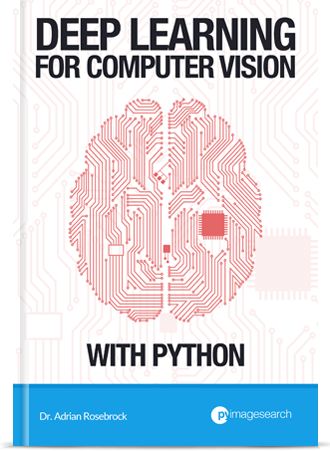 You should also read this tutorial for an example of using GPIO with Python and OpenCV. i cannot do it .I tried the full day.please help me. Are you using the same code and hardware as for this method? Could you be a bit more descriptive regarding the camera moving “weirdly”? This is an interesting and such a wonderful project work. You are a super Genius! Thanks for sharing a such a wonderful work. Thank you for the kind words, Chidambar. If I understand your question correctly, you would like to use an audio library to do text-to-speech? If so, take a look at Google’s “gTTS” library. Thank you for your article. Two questions please. (1) I tried to install the ‘pyimagesearch’ python module as per listing 2-12. Where is location of the ‘pyimagesearch’ module say at your github site https://github.com/jrosebr1?tab=repositories such that I can download it and install it. I cannot ‘pip’ your module. (2) Given that ‘cv2’ have pan tilt zoom (‘PTZ’) function(s) could your code be easily adapted using the cv2’s PTZ functions? 1. The “pyimagesearch” module can be found inside the “Downloads” section of this tutorial. Use that section of the post to download it. 2. Which functions specifically are you referring to inside OpenCV? I may have been confused on this matter regarding opencv being able to control pan and tilt functions. The reason is that I read an article which incorporated video processing using opencv. In this situation, the camera was an IP camera with a pan-tilt-zoom (‘PTZ’) controlled by the python package ‘requests’. IP cameras have an inbuilt server and adjustments to the PTZ require addressing the camera’s protocol http or rtsp , camera’s IP address, supplying a password, the command to pan or tilt and the value of the pan or tilt. My question is if you can read the pan and tilt values in opencv, can you set the pan and tilt in opencv instead of using the requests package? That’s interesting, I’m not sure what those camera parameter values are in OpenCV. That would be a good question to ask the OpenCV devs. boo = cv2.VideoCapture(whateverID); #whateverid means select cam no. Again I stress this is yet to experiment and explore. I looked at the API for video capture. OK it was in java or C++, but the parameters are the same. You may ask why do this? That is a good question. Answer, the above tutorial for moving the camera in an X and Y direction relies on moving two servo motors driven by separate PWM signals, as in the RPi. But what if you have say have an IP or USB camera with integrated PTZ motors and want to apply your tutorial tracker using the PID algorithm? Again I stress this is yet to experiment and explore. I am doing a similar thing using 2 stepper motors for pan and tilt motion and using A49888 stepper drivers to drive the motor using Rpi 3B+ I am having a issue with coding, will this code be usefull. Actual project is a sentry turret which will track a person an shoot it with a nerf gun. I have been your loyal reader since the day I started to learn Python and OpenCV (about 3 years ago). Your blog and contents have grown so much! I tried to control the level and inclination of the servo motor with the GPIO pin, but I didn’t know how to integrate PID and process in the end. Could you give me some tips? Thank you! I am running on Raspberry PI 3. My PI freezes after it runs for a minute. I noticed the temp goes up to 78 Degree C. Could this be it ? The pan and tilt camera has 3 pins each, correct. PWM, GND, VCC respectively. Now I am not able to understand to which pin locations of raspberry pi I shoild connect these 6 pins. Moreover I am especially concerned with PWM pins of pan and tilt servo. Moreover I would like to ask whether these 2 PWM pins of each servo represents servo channels? or 2 channels wire are differently provided? In that case where should I connect these channels on raspberry pi? “Long-time listener; first-time-caller” — kudos on being the go-to source for anything that is to do with image-processing, Raspberry Pi, etc. Everything works fine when I implement your code, but the pan-tilt tracking eventually moves the camera till the single-face in the frame gets to the bottom-right-hand-side of the image and stays there for a while (before the bounding-box around the face disappears and the camera does not move thereafter). I tried switching the leads for the two servos on the HAT, and change the “sleep” value in pid.py — with little success. Any help/pointers is greatly appreciated! Can you help why pan tries to keep my face on right side of the frame, not in the center? It moves nicely but not centralize my face. What value I should chance? Also if I go out from the picture camera dont go back to center/starting point? Thanks! That’s definitely odd. Is the bounding box surrounding your face correctly detected? Process is stabile when camera points 45 deg away from my face. I think it just dont like my face ;).